Let's talk high fashion for low budgets. In the past we've looked at designers who have done lines for Target or Kohl's and they are such a fun experience. Wildly talented folks making their styles affordable for the average woman. Today I'm really excited about Thakoon for Kohl's. This collection is urban chic and there are so many options for under $100. Here are some of my favorites. I love the contrast of floral (summer) with long sleeves. 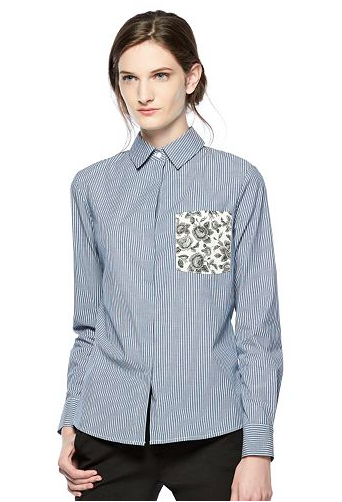 Perfect for fall and even longer into the winter with a layered button down underneath. 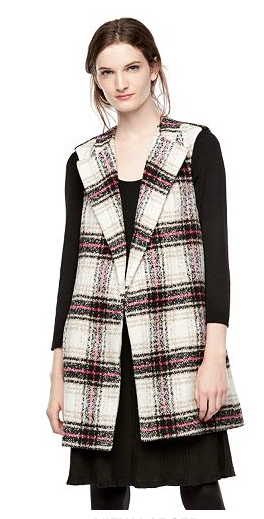 Forget the blanket scarf trend, this is what you need for fall. A little grungy with the flannel and a little menswear with the oversized collar. Love it. 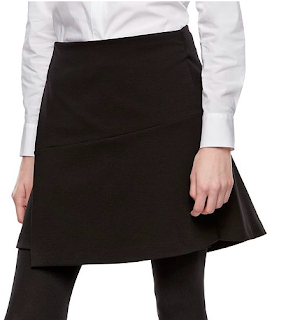 Is there anything particularly eye catching about this skirt? No. But that's the beauty of it. It's the perfect base or staple piece for your closet. Mixing prints is always fun, especially when it's done for you. So simple and work-ready. 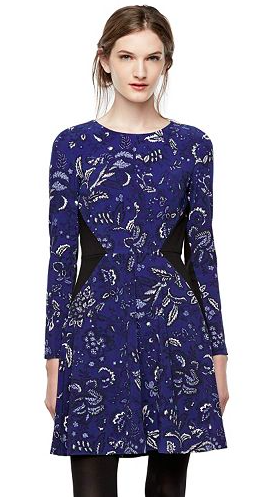 Thakoon for Kohl's is a beautiful collection with more than 30 pieces under $100. Run, don't walk.